Many thanks to In Any Event for use of their images. St James offers the perfect setting for your wedding – with the choice of three rooms, we tailor your special day to match your needs, whether you’re hoping for a large, more traditional ceremony, or a small, intimate gathering of friends and family. Only civil ceremonies are performed here at St James. The ceremony is performed by the Deputy Greffier, and notice must be given at the Greffe in the same way as for any other marriage. However, unlike the ceremony at the Greffe, it is possible to remain in the room following the ceremony. Perhaps you would like to have a humanist ceremony following the marriage or maybe you would like to offer your guests a glass of champagne whilst you have photographs on the balcony over looking the harbour and sunken gardens. Providing that the legal ceremony is not interrupted in any way, you have the freedom to design your wedding in a way that suits you. The Whittaker Hall is the main concert hall at St James. 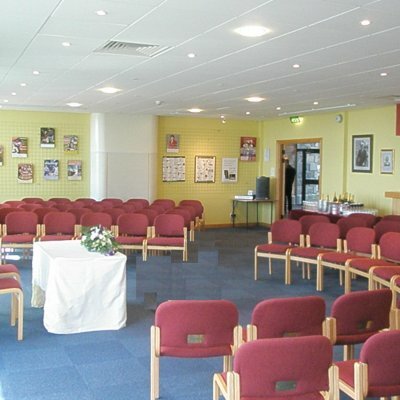 In a typical wedding format it seats up to 147 people although this can be extended to the full 480 if you wish. 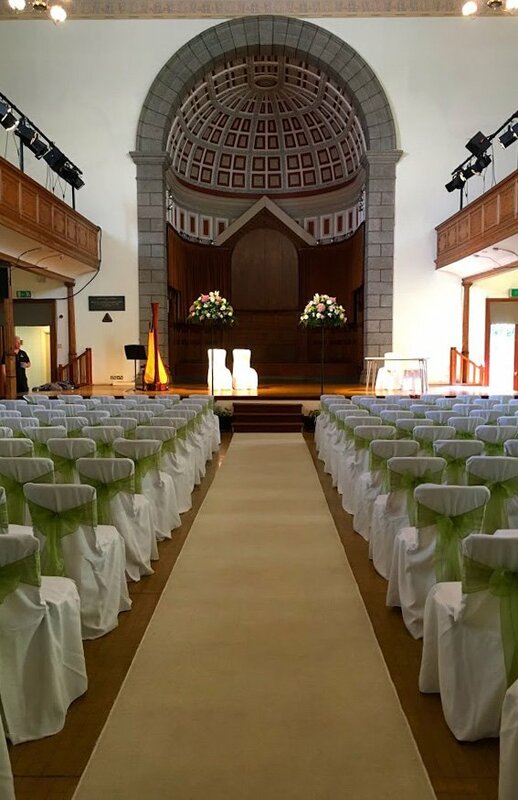 The hall boasts fabulous acoustics and, due to its previous life as a fully functioning church, can offer a more traditional feel to your ceremony. Should you choose to get married in the Whittaker Hall, it is also possible to book the Steinway Grand Piano or the 3-manual digital Allen Organ, or for recorded music to be played through our PA system. We are also happy for you to decorate the hall as you choose, whether it be with flowers, trees and shrubs, ribbons or balloons… the choice is yours! Situated on the Ground Floor of the Dorey Centre, the Dorey Room may not posses the grandeur of the Whittaker Hall, but it does boast some of the most stunning views over St Peter Port and the neighbouring islands. 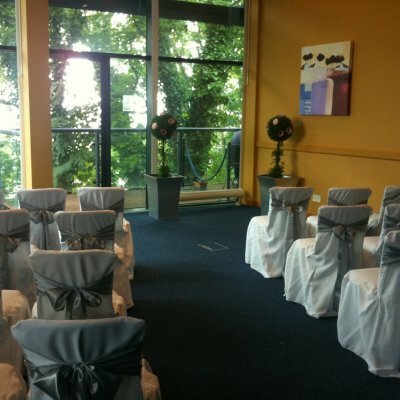 The Dorey Room can seat up to 80 people for a wedding, and after the ceremony, why not throw open the balcony doors and offer your guests a glass of champagne as they look out over the town. We can also arrange for a piano or CD system to be moved into the room for you, to give your ceremony that personal touch. If you would prefer your wedding to be a smaller and more intimate affair – look no further than the Founders Room. Its position on the top floor of the Dorey Centre means the views across the town are spectacular and, tucked away in the topmost corner of St James, you will feel a world away from the hustle and bustle of the streets below. The Founders Room can seat up to 35 people, and like the Dorey Room, can be supplied with a piano and stereo system, should you require them. Many thanks to In Any Event for the use of their photographs. If you have booked your ceremony elsewhere, why not consider St James as the venue for your wedding reception. 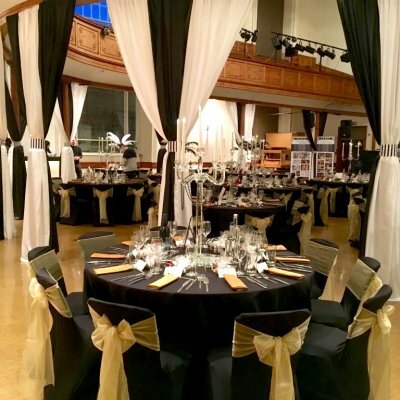 We can seat up to 180 people for a dinner and dance in the Whittaker Hall and can provide you with the freedom to decorate and personalise the hall as you wish. We also provide a kitchen and preparation area for your chosen caterer. It is also possible to combine your ceremony with your reception. We are looking forward to planning your wedding with you. Call the team on 01481 711 360 or email.  To book your wedding, or to arrange a tour around the facilities here at St James, please contact our administration team.